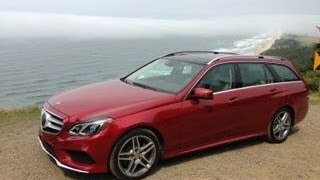 Mercedes-Benz has introduced the extensively updated 2014 E-Class Sedan and Wagon, featuring highly efficient engines, an array of new driver assistance systems and even more refined styling. 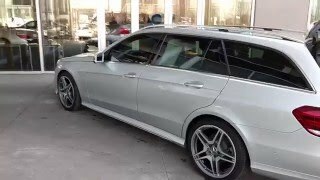 The new 2014 Mercedes-Benz E-Class Wagon will make its public debut at the 2013 Detroit Auto Show and will go on sale in the United States in the Spring. No less than eleven new or optimized assistance systems from the future S-Class celebrate their world premiere in both the sedan and wagon models. Power for the 2014 Mercedes-Benz E-Class comes from a choice of four powertrains. The Mercedes-Benz E250 BluTEC is powered by a 2.1 liter 4-cylinder diesel engine making 190-hp and 369 lb-ft of torque. 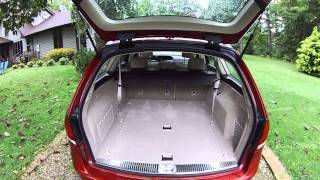 The 2014 Mercedes E350, and E350 4MATIC Wagon are powered by a 3.5 liter V6 making 302-hp and 273 lb-ft of torque. The E400 HYBRID Sedan is powered by electric motor making 27-hp and 184 lb-ft of torque mated to the 3.5 liter gasoline engine. 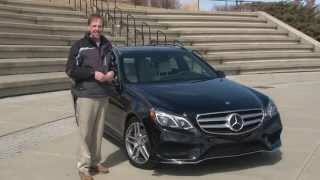 The top-of-the-line Mercedes-Benz E550 4MATIC Sport Sedan is powered by a 5.5 liter turbocharged V8 making 402 hp and 443 lb.-ft.